proudly supports Rodeheaver Boys Ranch. 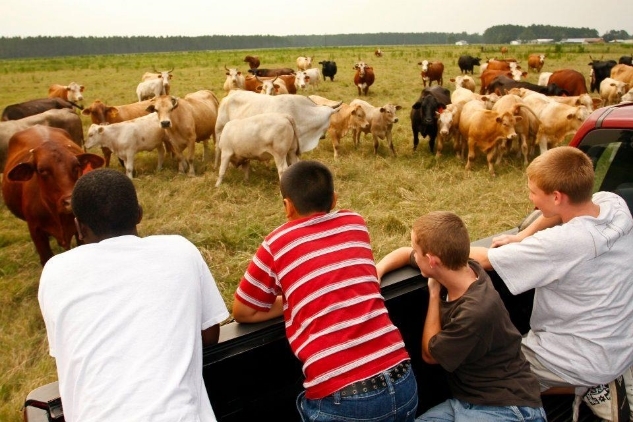 Situated on the beautiful St. Johns River, Rodeheaver Boys Ranch is a 800-acre sanctuary for boys who need a home, a family, and roots for a brighter future. It was founded in 1950 by philanthropist Homer Rodeheaver, whose dream it was to help needy boys. Homer's mother died when he was only eight years old and this created a lifelong desire to help other young boys who experienced the loss of a parent. Today the Ranch provides boys with a strong foundation of faith, love, and learning. It is a wholesome home environment with educational training for needy boys. These boys have no home of their own because of parental death, desertion, divorce, disability or dysfunction. Rodeheaver Boys Ranch provides these deserving young men a second chance in life and an opportunity to build a strong foundation for the future. Capital building developments to the Rodeheaver Boys Ranch, such as constructing the Langdon-Newby Activity Center and the Ranch General Store. Constructing Huntley Cottage, one of the five cottages which houses seven to eight boys and their cottage parents. Constructing the Rodeheaver Boys Ranch Executive Director's home. Helping maintain the Rodeheaver Boys Ranch as a 'working ranch' by building Horse Paddocks and a 'Hog Hotel'. Development of a Festival RV Park for special events. Capital improvements to the Ranch, such as asphalt drives, the Biggers Chapel roof renovation, and other infrastructure improvements. Civil Engineering improvements to the landscape, such as developing Huntley Pond and Butterfly Island, as well as conducting aquatic studies. In addition to financial support, the Board of Directors contributes to the care, maintenance and education of the boys at the Ranch. The Board of Directors counsel on the operating and capitol expense budgets. They provide support in areas of fundraising and marketing.